As you get older, you can start to develop skin imperfections like age spots, spider veins, and fine lines. When you’re ready to take action and improve your appearance, it’s time for skin rejuvenation. Gary E. Lane, MD, FACS, and Renee Lane, MS, RN, ANP, at Pueblo Vein Center in Pueblo, Colorado, use the cutting-edge Cutera Xeo® platform, which allows customized treatment for each patient’s unique skin care needs. 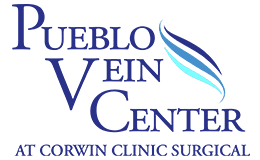 To schedule an appointment at Pueblo Vein Center, use the online booking feature or call the office directly today. How is skin rejuvenation customized with the Cutera Xeo laser? The Cutera Xeo is a laser platform capable of operating several types of lasers. As a result, each treatment is customized based on the patient’s unique skin concerns. No matter which problem you need to address, Xeo is safe and effective for every skin type. How does the Xeo laser system work? The flexible Xeo platform works two ways, depending on the laser used during your session. The Xeo limelight operates at a wavelength that’s absorbed by red, blue, and brown pigments. As spider veins and brown age spots absorb the laser’s energy, they’re heated to a temperature that makes the pigmented tissues break down. Over time, your body eliminates the destroyed tissues and they’re gone for good. The laser genesis isn’t absorbed by surface pigments, but instead reaches deep below the surface where its heat triggers collagen production. When old skin at the surface is replaced with collagen-rich skin, your new skin is stronger, tighter, and more resilient. As a result, it smooths away acne scars and fine wrinkles. What should I expect during skin rejuvenation treatment? One session takes about 30-60 minutes, depending on the size of the area being treated. Since the Xeo systems have built-in cooling, patients often describe the treatment as warm but tolerable. Following laser genesis treatment, your skin may be a little red, much like a mild sunburn. If you received the limelight treatment, you may experience slight swelling and redness. If brown spots were treated, you can expect them to darken, then slough off. None of the potential side effects last long and they’re not severe enough to demand downtime, so you can return to your normal daily routine afterward. However, it’s essential to use a broad spectrum sunscreen to protect your skin. If you’re ready to rejuvenate your skin and restore a more youthful appearance, call Pueblo Vein Center or book an appointment online today.